The following are various figures from the paper. Click on the pictures to see more details. 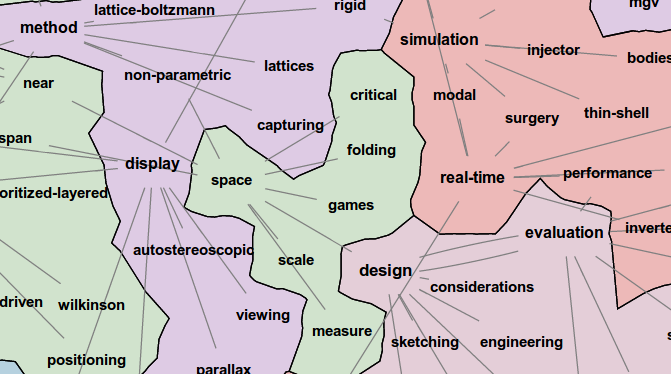 The following are conference and journal heatmaps overlaid on a map generated from 70,000 paper titles, sampled uniformly from all available DBLP papers. 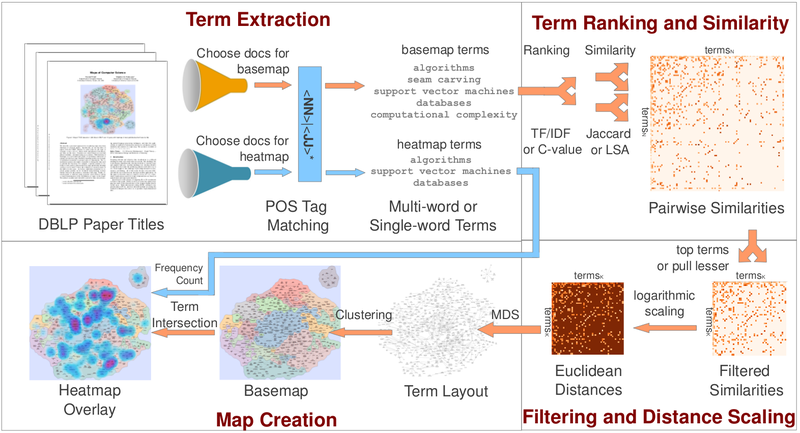 Map generation algorithms are Multi-Word terms for term extraction, C-value With Unigrams for term ranking, Partial Match Jaccard Coefficient for similarity, and Pull Lesser Terms for filtering, with the number of top terms parameter set to 1500. The following are heatmaps of six decades of papers from Journal of the ACM (JACM). 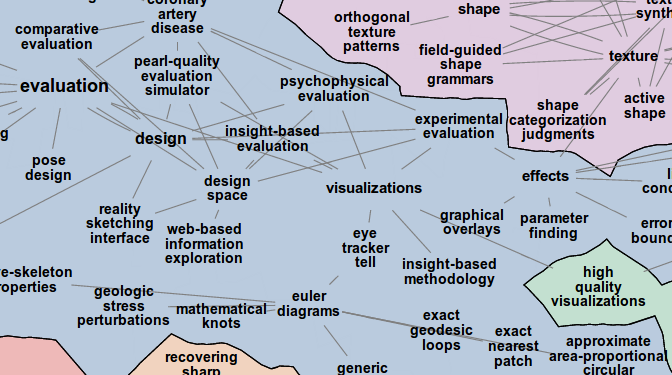 Basemap is generated from multi-word terms extracted from the titles of 1,998 paper titles published in JACM, using the C-Value with Unigrams ranking, Partial Match Jaccard Coefficient similarity, and Pull Lesser Terms filtering functions. A maximum of 200 paper titles were sampled from the JACM's publications for each decade.